Welcome back. So, here is a fresh pot of tea. Do you go over to the UK to do book-signings or promotional tours, Vanessa? VC : I haven’t yet. It’s not easy to arrange that sort of thing from a distance, especially when you are doing it all yourself. I’d be keen to get tips from other authors, including you, about promising venues and ways into that sort of thing. I know other authors who live abroad and do promotional tours, but they are with big publishers who arrange it all for them. VC : I sell mostly in the UK, which I suppose is not surprising as I am a British author. Although huge, the U.S. market is not easy to crack and the American style of marketing and promotion is different from the British way. Have you ever considered writing in French? VC : I don’t think my French would ever be good enough. After so long here – and four years of French lessons – I am pretty fluent, but literary French is another ball game altogether. 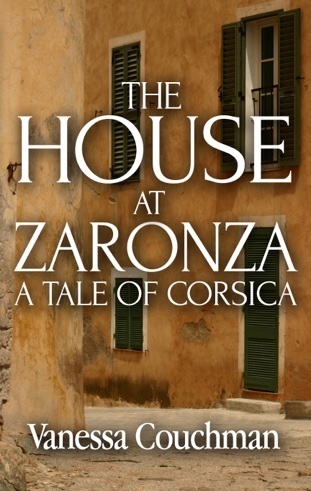 I toyed fleetingly with the idea of translating The House at Zaronza into French, since it’s set in Corsica and France, and I think there would be a market for it in France. But it would take ages and I’m sure there are nuances and turns of phrase that I would miss. It would be obvious that it wasn’t written by a French person. I believe people have encouraged you to write your memoirs in French. Are you going to do it? YES! After all this time of failing to get them to read English I am admitting defeat and will be starting my memoirs. I’m told that if I just write the way I speak it will be even funnier, rather like the TV series ‘Allo ‘Allo where it IS obvious that it isn’t written by a French person but that is the point of it. None of the scrapes I got into would have happened to a native! We’ll see. My doctor said it would be great therapy for my scrambled brain but I think he just wants to read all the funny stories I’ve already told him in person. VC : P.S. Why is your OH called Badger? The Old Feller? Well imagine Badger from The Wind in the Willows but human. Heart of gold but would hate you to know it, suffers fools not at all, tells it like it is, grumpy, not afraid to show his teeth and immensely loyal. Do you get the picture? 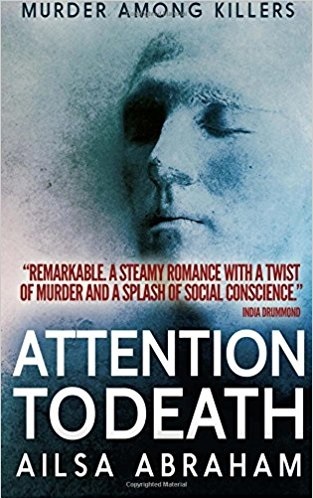 Bio: Vanessa Couchman is a freelance writer and author who has lived in France since 1997. She is passionate about French and Corsican history and culture, which inspire much of her fiction. 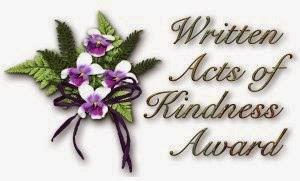 Her short stories have won and been placed in creative writing competitions. The House at Zaronza, set in early 20th-century Corsica and at the Western Front during World War I, is her debut novel and she is working on a sequel. I might have a got at reading the memoirs when they’re written in my not so great French (I can manage reading with a dictionary. Talking is far trickier). Good luck! At the moment various friends are advising me to produce it in both languages, which would, I suppose, be a help to those learning either. Worth waiting for Part II. As a British author with a US publisher, I can see what you are saying about different approaches. For me it even began with the editing… of a book set primarily in South East England and in France (Cevennes). Great interview Vanessa and Aisla. I am most intrigued by your Corsican novel, Vanessa, and I am definitely going to buy it! I would so love to go there for a holiday, and experience the landscapes and scents and foods for myself. I think you are right about there being a market in France for your novel!